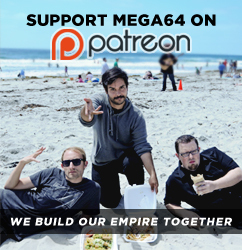 Mega64 Podcast 502: Everyone in Smash Brothers is dead? Hey eveyone! Ready for this weeks incredible podcast? GOOD!!! In this episode: We discover grandma death metal bands, try to explain to Shawn how to Play Red Dead, and everyone in the Mario Universe is dead except Kirby? All that and more, check it out! Click here for the audio version. That's all for now! Hope to see ALL of you at Gamedays this weekend! It's going to be a blast!